A Nigerian lady identified as Modeska Ukandu has expressed her gratitude to God for making her survive a ghastly accident that could have claimed her life. The pretty young lady revealed that she came out unscathed after the bus she was travelling in got involved in an accident. Ukandu who was shocked over the incident took to her Facebook page to share the photos of the accident scene. Friends and family members took their time to pray for her and check up on her after seeing the post. This also generated some reactions from people who considered her action as a divine intervention. 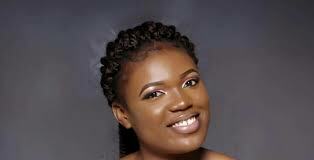 Olu revealed that she was traveling from Port Harcourt to Omoku and could have been involved in that accident. Ukandu who brought the attention of many to the incident was shaken as she took her time to respond to some of her well-wishers. According to her, two persons lost their lives in the ill-fated incident. She also revealed that some people got injured and were rushed to the hospital. Some of the people who dropped comments under the post wanted to find out more about the accident. The younger brother of the driver was said to have been devastated upon hearing about the accident; he was said to have been unable to reach out to his brother and was worried something bad could have happened to him.